Our Zangskar based rafting expedition is an adventurers dream as it includes off-road driving, camping, and Grade 4 rafting in one of the remotest places of Ladakh. You will surely feel that you are alone with nature as you paddle through the mighty Zangskar Canyon, and fall asleep with the stars. Participants on this tour must be moderately fit, and this tour is best taken in July or August when the water level is high. 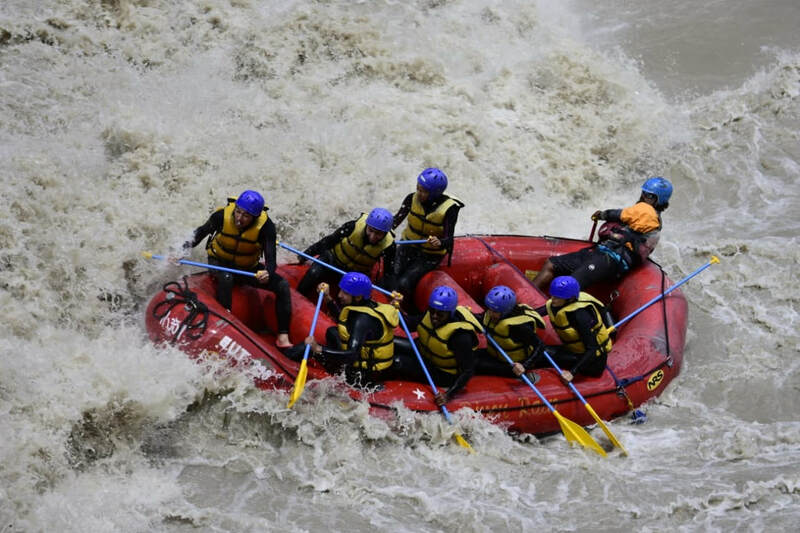 *We can arrange everything you will need including all rafting and safety equipment, qualified rafting guide and crew, cook, helper, tents, mattresses, homestays, all food and required transport. Once you arrive at Leh airport, you will be greeted by our company representative and transferred directly to your Leh based accommodation. Spend a full day taking rest and adapting to the high altitude of Ladakh. Enjoy the surrounding mountain views and take in the house garden before overnight stay in our prearranged accommodation. An early morning start as you depart Leh at 6:30am in order to witness the mesmerising morning puja at Thiksey monastery. Famous for its striking resemblance to the ‘Potala Palace’ in Lhasa, Tibet… the Thiksey gompa is a great place to start your journey of Ladakh and you will surely find peace within the traditional rituals of the local monks and their ritual morning prayer. Next, proceed to Hemis Gompa which is the largest, richest and most populous monastery in all of Ladakh and boasts over 1000 active monks in its many branches. You will have a number of opportunities to take photos and learn about the monks daily routine before visiting the Hemis museum where you can see artefacts dating back to the original construction of the facility in the 11th century. Next, make your way to Shey Palace – known for being the previous summer retreat place of the historical King and Queen of Ladakh. Enjoy the views before returning to Leh in time for an early lunch and then continue your afternoon with a half-day of city based sightseeing beginning at the ancient Tse Mo castle where you can get a great view of the town and see the crumbling architecture of the major sights. Walk through the 9 stories of the 17th century built Leh Palace before returning to our prearranged accommodation for overnight stay. Depart Leh and make your way past the Sangham lookout where again, you can stop to take photos of the different colours waters at the intersection of the Zangskar and Indus rivers. Next continue driving through the ‘pretty-as-a-postcard’ Basgo village before arriving at the picturesque Lamayuru gompa which dates back to the 11th century. Enjoy the surrounding ‘Moonland Hills’ (so called because of their surrounding craters that supposedly share a resemblance to those found on the moon) and the giant Buddha sculpture at rock mountain before arriving at Kargil where you can enjoy your last glimpse of magnificent views at ‘Tiger Hill’ and ‘Tololing’ before an optional stop at the Kargil war museum. Overnight stay in Kargil. Our driver will collect your from the pre-arranged accommodation in Kargil and transfer you to Padum village starting with a drive through the dramatic Suru Valley and cross the Pensi-la pass which sits at 4400 meters above sea level. On a very clear day, you may be lucky enough to catch a glimpse of the ‘Nun’ and ‘Kun’ mountain peaks (each over 7000m) but even if you don’t, you won’t be disappointed as the alternate scenery along the way makes the long and arduous journey well worth the effort. Overnight stay in guest house. After a filling breakfast, our expedition guide will discuss all relevant safety procedures and basic instructions for the next few days. Next, you will enter the water on a Grade 3 section of the river which is a great way to warm up and get to know the raft and procedures. You will raft for about four hours with a short lunch break on the banks of the river. Once you reach the confluence of Doda and Tsarap Chu rivers, we will stop for the night and set up camp. Those who are willing can choose to hike up to Karsha monastary for sightseeing before returning to camp for a well earned rest and overnight stay. Wake early and make your way to Honia. Once again, you can enjoy practicing your paddling skills on grade 3 rapids and then get ready to enter the Zanskar Canyon. You will surely be impressed as you take in the amazing sights of the Zanskar and the Greater Himalayan ranges and then enter the narrowing valley to find your campsight for for overnight stay. Today you will have a long day of rafting - 25km on the river and paddling through the canyon in order to reach Nyerak. Again, today involves Grade 3 rapids. but a highlight will be the breathtaking canyon at Honimul. You will paddle through a narrow entry with mountain walls that tower above you. Enjoy some adventurous rapids today, before calling it a day and setting up camp below the Nyerak village. A 35 km river journey takes you through the core of the Zanskar canyon and brings us to Lamayuru at the confluence with Markha River. Here we will encounter Grade 4 rapids and we can enjoy the sights of a nearby waterfall which streams from the canyon wall. Paddle further - seeing the ever changing colours of rock along the way, before setting up camp in Lamayuru. Today you can enjoy your final taste of Grade 4 rapids before arriving to the finishing point at Nimoo. Following your arrival, to Nimoo, our car will be waiting to return you back to Leh where you can enjoy a hot shower, and some last minute souvenir shopping before tomorrows departure. Overnight stay at Leh hotel. 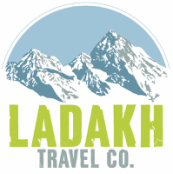 ​Our driver will collect you from your Leh based accommodation and transfer you directly to the airport in time for your early morning flight.